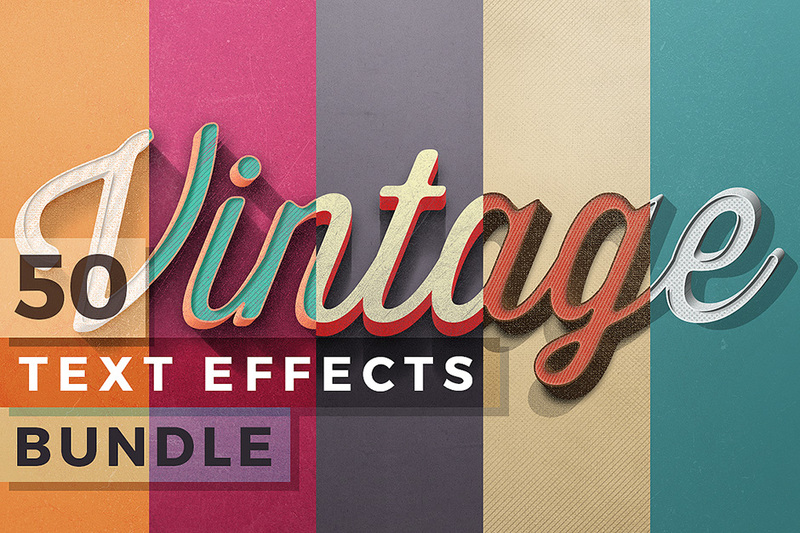 This vintage text effects bundle is very easy to use. 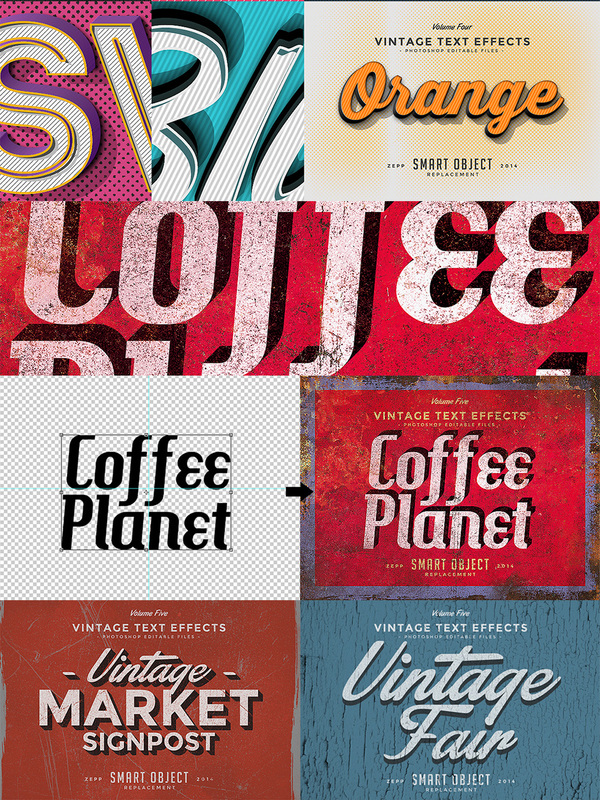 Replace the text in seconds via smart object layers. Open the file, open the smart object layer, change the text, save and you are done! It takes 10 seconds! Software compatibility: Adobe Photoshop CS4 and newer. Please note that this product does not work with Photoshop Elements. File size is approx 1.56GB unzipped, offered as a 2 part download. I love these effects! 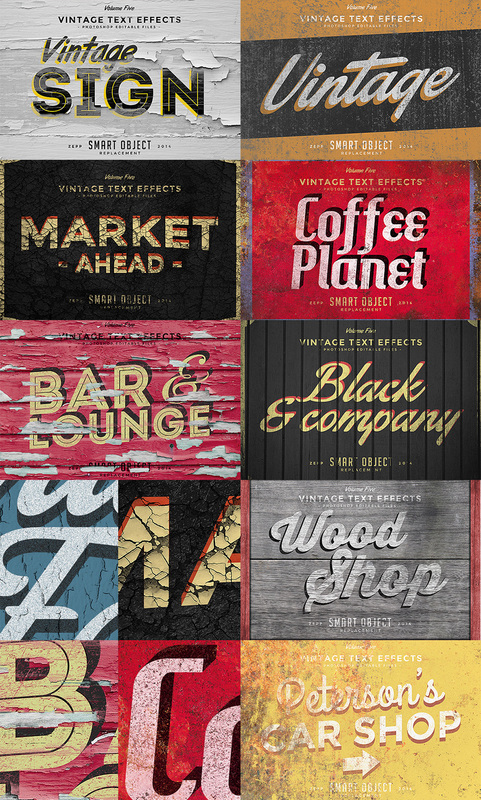 Can you please tell me what fonts you used in your samples? I’d love to be able to use some of those same fonts. Thanks so much for the comment on this one and query! So the links to the fonts that the team used in the preview graphics are located in the Help Document that comes with the product :). I hope that helps!